Pools of Perfection has won a national award for engineering and technical achievement in swimming pool construction. 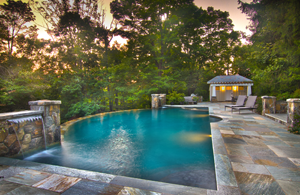 We have built some of the most complex residential pools in the United States. And we have built many lovely and stunning modest pools as well. Architects, engineers, designers, realtors and of course our existing clients refer clients to us. Our portfolio includes negative edge (infinity edge) pools, zero edge (perimeter overflow) pools and classic edge pools. 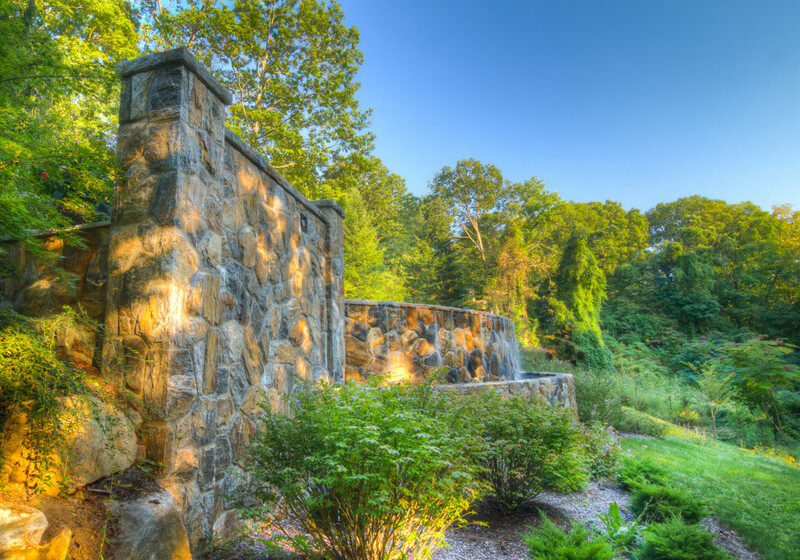 Most of our work is composed of shotcrete (gunite) pools. However we welcome clients who want to build fine vinyl lined pools in the interest of meeting their budget or preference. We can tailor projects to meet reasonable budgets. 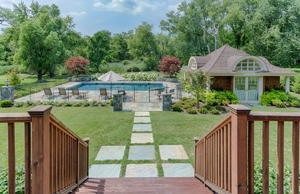 We typically build poolscapes in their entirety from the start of the pool to the finish of the driveway, from fencing to planting and lighting. 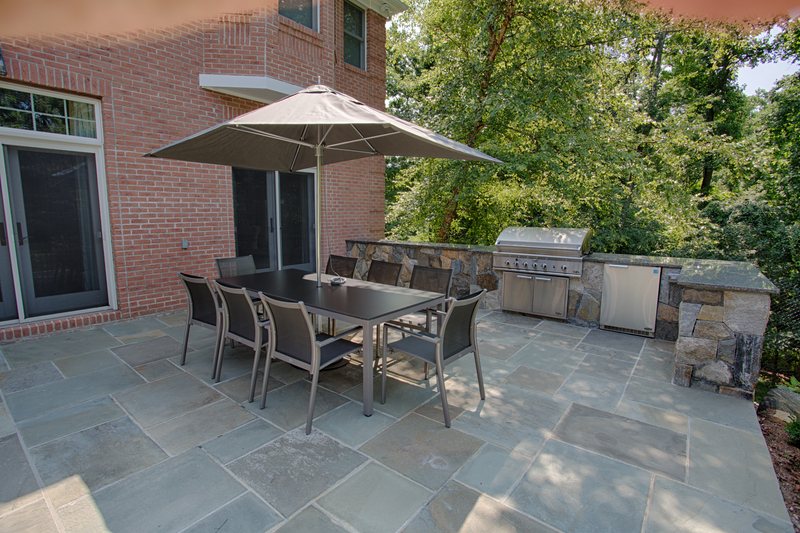 We install speakers and outdoor TVs and build magnificent outdoor kitchens, fireplaces and cabanas. 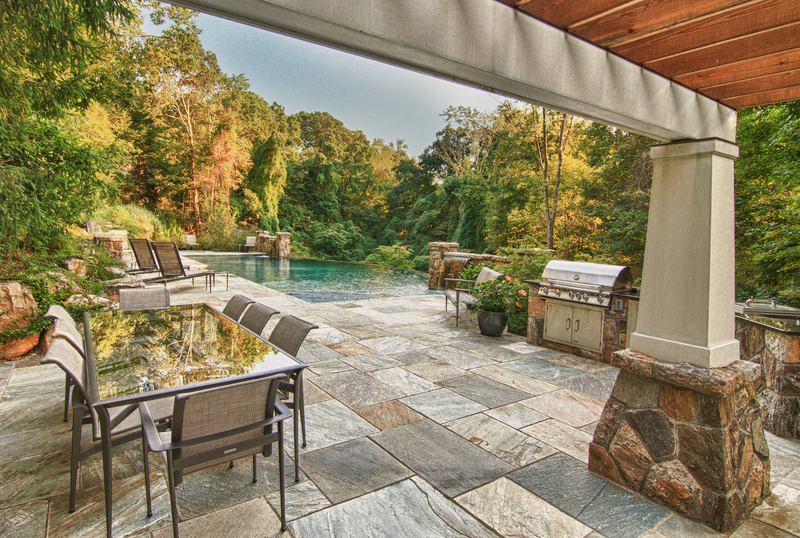 Pools of Perfection has rendered over 60,000 service calls in thirty years of service. We know what works and fails. Our selection of material in construction is uncontestable. Even a Pools Of Perfection filter site is like an engine of a ship. We always service every pool that we build and we have never had a problem with the outcome of our construction. We offer a three year bumper to bumper warranty on our swimming pool construction. 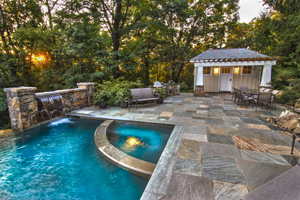 Christopher Carthy is a Certified Building Professional by the Association of Pool and Spa Professionals.